Last Tuesday, 25-year-old Alexander Sperber decided to kick off his career as a professional comedian by robbing a bank in Fort Lauderdale, Florida, and then throwing the money to the customers, but it didn’t go quite as he planned. After a dye packet exploded in his sack of money, staining the loot and his clothes, he stripped naked, ran down the street and was quickly apprehended by police. Sperber entered the bank around 3:06 p.m. after parking his red Ford Mustang behind the building. He then entered the bank, pointed his hand, which was gestured like a gun, at a bank teller. He told the teller that he had a gun and would harm her and others if she didn’t hand over some money. 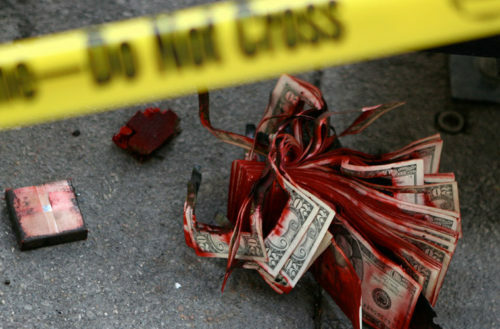 The teller gave him $4,700 in a bag he provided, but Sperber didn’t realize that she had also slipped in an exploding dye pack, a security device used by approximately 75% of all banks to destroy any stolen money and mark robbers with bright stains. The dye pack is a device that can discreetly be inserted into a stack of bills. It’s small and flexible, making it hard to detect. They’re typically activated when they’re removed from a magnetic plate inside the bank. 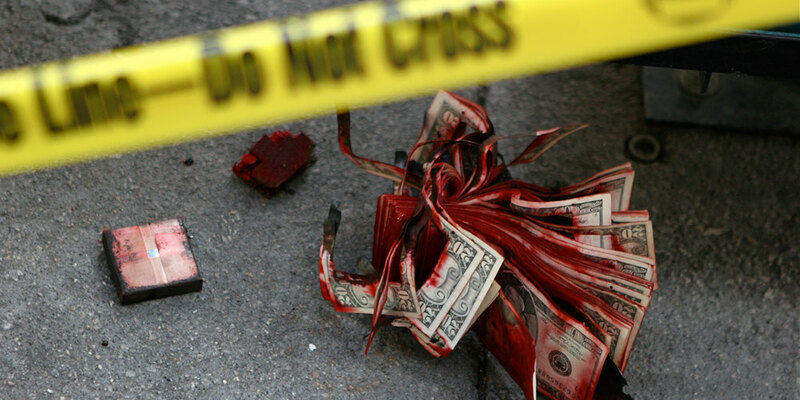 A radio device at the bank’s exits transmit a frequency that causes the dye pack to explode approximately 10 seconds after a robber leaves the bank. The dye packet’s chemical reaction also causes it to radiate a temperature of around 400 degrees Fahrenheit (204 degrees Celsius), discouraging thieves from holding onto the bag or removing money from it. When the dye packet exploded, it stained Sperber’s clothes, so he removed them and ran naked down a public street. Police arrested him soon after, covered him in a yellow tarp and then took him to a local health center. He faces 10 years in federal prison if convicted.